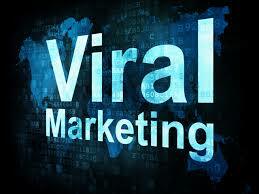 watched and watched repeated on YouTube, a new marketing niche was born – Viral video marketing. 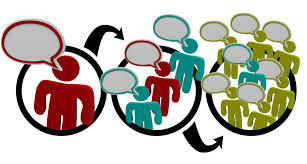 Don’t get fooled by the new tag – viral video marketing. It is nothing new. It has been around for quite some time but not a lot of marketing people are tapping into its potential. Mostly it’s for entertainment. 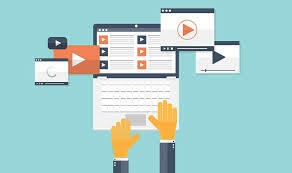 Getting your material to go viral is a matter of coming up with an awesome video and a lot of preparation. The idea behind your viral video marketing plan should be something that’s different, intriguing, funny, entertaining or it can be your take on something that is highly sought after. This requires knowing your viewers really well for this to actually work and go viral. Playing off current memes can also do the trick without you having to hit your head against the wall. What tends to go viral? As aforementioned, material that is surprising, crazy, interesting or exclusive has the ability to go viral. Also, material content that is geek-funny can do very well online these days, cause, frankly, we need to have a good laugh every now and then. A lot of possibilities can be considered as viral material so you really need to do a lot of informed guesses. Always regularly check a lot of online sites that your viewers are frequenting. If you haven’t been doing this, start right away. It’s one way of pinpointing what your viewers are viewing as well – it will save you a lot of time and effort. Plan where you want to upload your material. There are techniques that you can use to try to get more visibility. Some sites will require a certain fee for your material to be posted to guarantee a higher degree of visibility. Using keywords is also a great technique. Put a lot of your creative juices, energy and effort when crafting your material. It’s the most important element in this entire write up. If possible, try to create something that has sequel in it so that you can easily piggyback off an effective technique. Try not to brand your first run. Don’t put your logo or anything yet, and don’t put your product in your video clip. Instead come back and add them in later when your material has gathered considerable views. Self-promotion is very much looked down upon in submission of certain materials. Launch your material and keep a very, very close look at it. A lot of possibilities can drift by if you are not monitoring it. If you are able to accomplish these tips, then you might as well be on your way towards a successful viral video marketing campaign! Join me and let’s make money online! Its easy to make money via blogging! This entry was posted in online marketing tips and tagged blogging, video tips, viral marketing, viral video marketing, youtube video on November 19, 2015 by Steve Mack.